Bagshot Tennis Club has been awarded £20,000 from The London Marathon Charitable Trust towards the resurfacing of two of its tennis courts. This will make a huge difference to the club by having all-weather courts that will allow members and the local community to enjoy enhanced court facilities all year round. The work is underway and is due to be completed by the end of August 2017. The tennis club covers Bagshot and its surrounding area. They have Junior Lessons for ages 4 to 18 that run during school terms. There are nearly 150 juniors playing at the club, many of them rising stars. 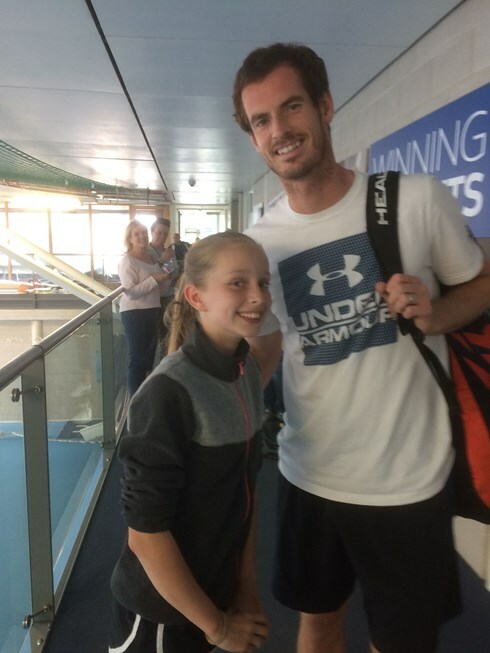 Emma Goodacre, one of the top rated juniors in Surrey, is coached by the Jet Tennis team Jason Jokhoo and Megan Emmett, she also trains regularly at the National Tennis Centre where she recently had the pleasure of meeting Andy Murray. 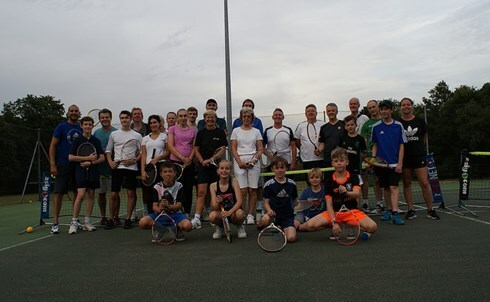 Gren Gale, project manager and junior development lead at Bagshot Tennis Club said: “Improvements to the existing courts is great news and we are so grateful to The London Marathon Charitable Trust for its support. The new artificial clay courts will provide a surface that can be used all year round whatever the weather and help us continue to support the growth of our junior section." “Tennis is a great way to improve fitness, keep active and it encourages mental wellbeing. We welcome anyone interested in playing tennis, having fun and making friends and we cater for all ages and abilities. ” Neil Dodge, Chairman Bagshot Tennis Club. Sarah Ridley, Chief Grants Officer for The London Marathon Charitable Trust, said: "We are delighted to provide a grant toward the resurfacing of two tennis courts at Bagshot Tennis Club. This will enable the Club to continue its successful coaching programme, inspiring those who were previously sitting on the couch to visit the Club to try tennis and discover the benefits of being active."